Classic Empire’s first foal has arrived; a bay filly out of the Gr.3 placed Bernardini mare Sky My Sky foaled last week at John Oxley’s Fawn Leap Farm near Midway. “She’s a lovely, quality filly” commented Farm manager Laurie Gimmon. Sky My Sky has been booked back to Classic Empire this year. From the family of Harlan’s Holiday, 3-time Gr.1 winner Classic Empire was raced by John Oxley and bought for $475,000 at Keeneland September. 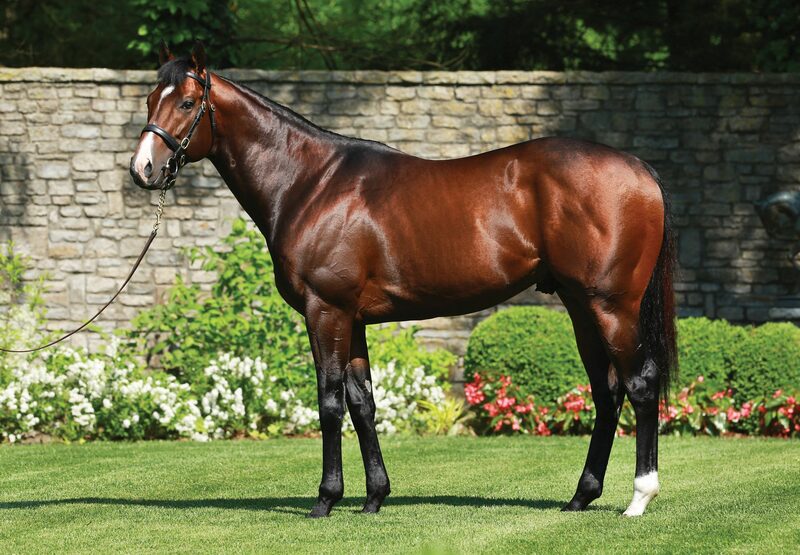 The talented son of Pioneerof The Nile broke his maiden at Churchill Downs on debut in May before notching up wins in the Gr.3 Bashford Manor Stakes, Gr.1 Breeders’ Futurity and Gr.1 Breeders’ Cup Juvenile. The unanimous choice for Champion 2YO, he went on to land the Gr.1 Arkansas Derby at 3. 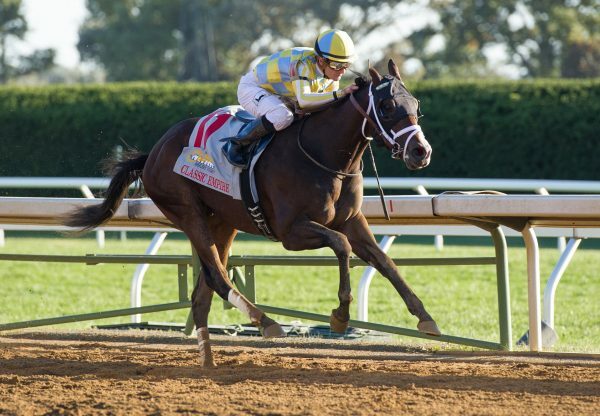 Classic Empire stands at a fee of $25,000 this season.